As the July 1 Free Agency period is quickly approaching, let's take a look at the current cap status of each team, and breakdown what they have, or don't have in terms of room to maneuver this off-season. We continue with the Presidents Trophy winners. The Capitals are an interesting team to watch this off-season. After a dream regular season, we all watched in amazement as the were dispatched in Round One by the Montreal Canadiens. At first glace the Caps would appear to have a significant amount of cap space ($13m+); however, when you consider that they are in need of a goaltender, two defensemen and four or five forwards... seven or eight players in total, it doesn't seem like much room. 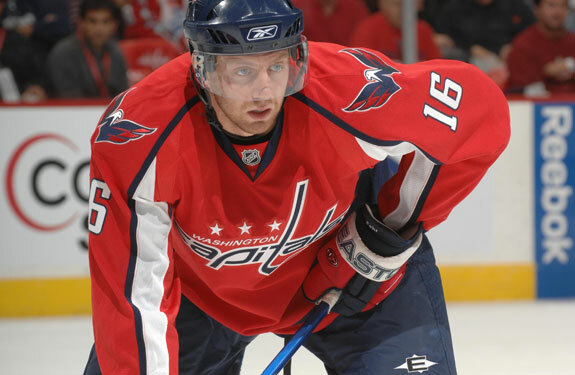 Washington is likely to make defenseman Karl Alzner and goalie Michal Neuvirth regular roster players, and will likely attempt to bring back RFAs Beagle, Fehr, Gordon, and Fleischmann, in addition to UFA defenseman Shaone Morrison to fill out the empty roster spots. All of their RFAs will be looking to make significantly more coin, particularly Fehr and Fleischmann. Their combined estimated cap hit would be in the $10-$11 million range. That would leave Washington enough room to sign one impact free agent to improve their club. We all know tops on their list would be a legit number two center, but there is not a lot in the way of top end centers out there. Could a trade be a possibility? 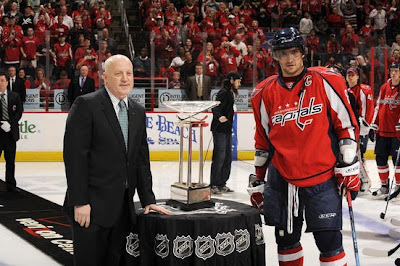 The Caps have pieces that other teams would find very attractive. The aforementioned Fehr and Fleischmann could fetch a handsome return. There also has been much speculation surrounding Alexander Semin. He will be an UFA next season and it is unlikely that the Caps could afford to retain him. One last thing to consider. Washington has offensive talent to spare. Could their missing piece be shutdown defensemen? This is the year for that market with Willie Mitchell, Anton Volchenkov and Zbynek Michalek all available, could they be just what GM G.M. needs in order to win a Cup? Although properly since extremely, Little laptops are usually perfect for. Deciding on long sleeve polo shirts is going to be the ideal decision that you could make at this moment and contemplating the market place. You'll be able to attain a mass crowd using a a lot decrease price. So appreciate the positive aspects.